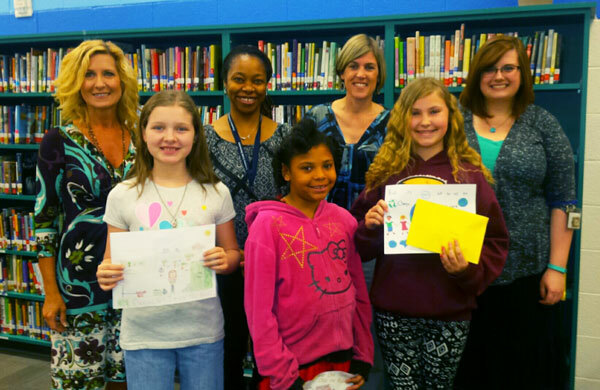 Planet Aid Hands Out Prizes to Earth Day Art Contest Winners - Planet Aid, Inc. 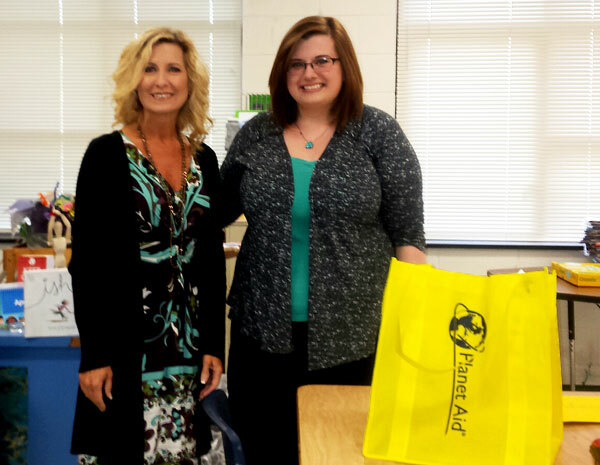 Planet Aid’s Community Outreach Specialist Gena Carruthers will be at Crowder’s Creek Elementary School on Earth Day, April 22, to announce the Earth Day Art Contest winners on the morning news and present them with their $35 gift card prize. 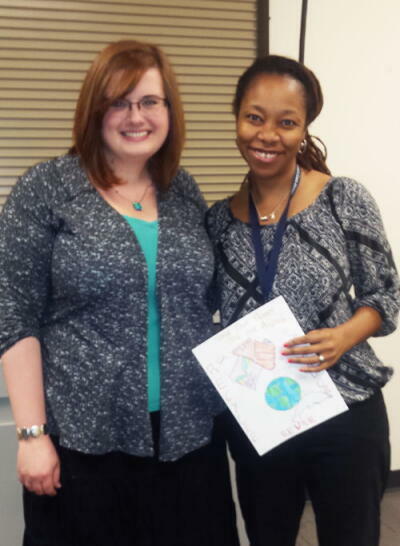 Special thanks to art teachers Morgan McWhite and Nicole Antunes for their assistance with the contest. Planet Aid will also be throwing a pizza party for the 5th grade class on May 14 for having the most participation in the contest! Planet Aid would also like to congratulate first grader Roshini C. from Mooresevile, North Carolina for winning the global Earth Day art contest! The group with the most entries from our region is Thales Academy in Wake Forest, North Carolina, with nearly 90 entries! They will receive a $75 Papa Johns gift certificate! See all the winners of Planet Aid's Earth Day Art Contest, or view a gallery of local winners all over the country. Front row, left to right - Grade 4 – Davyn O., Grade 3 – Ja’Mirah A, Grade 5 – Carly J.